A big change for landlords as the government has introduced the much feared change by landlords, Section 24. Section 24 of the Finance (no. 2) Act 2015 might mean that over half of UK landlords will be pushed into a higher rate of tax despite their income not having increased, and some might end up renting at a loss. Landlords used to have been able to deduct the full cost of their mortgage or loan interest payments on their rental properties before they pay tax. Unfortunately from April 2017, these costs will no longer be considered in calculating taxable rental income. The government marked a start in April this year of a four year phase in of section 24. This change will gradually be made over the next four years and therefore will not impact on tax returns being submitted now however it can make major change to a landlords financial situation. This change will impact landlords who have one or more residential properties which earn a rental income and are owned in their own name. Commercial properties are excluded along with properties being owned by limited companies. The government announced that interest and financial cost related to the mortgage or loans will no longer be an allowance expense for landlords when calculating the rental profit. This is a major change in the property industry and will affect many landlords who use their property as either a top up on their salary, nice income for retirement or a complete business income from the many properties the landlord(s) own. The change will not affect limited companies that own the properties. Subject to the landlords financial situation, many are changing their ways and incorporating companies to own the property. Legal and tax advice must be sought in order to determine this option being suitable for yourself as each landlord circumstance can be different to another. Under the change interest charges will no longer be an allowable expense. This means that the full income of the rent will be taxed rather than the amount after the interest expense. This may make life very difficult to landlords who have adopted an interest only business plan to rent out properties. If a property earns you a rental income of £1,000 per month, with £2,000 allowable expenses and £2,000 interest costs, prior to this change your rental profit would be £8,000. Under the new change the interest cost will no longer be an allowable expense, and therefore the rental profit would be increased to £10,000. This amount would than be taxed subject to your tax bracket. The change will gradually be phased in over the next few years. In the tax year 2017/2018 the mortgage interest and finance cost will be restricted to 75%. In 2018/2019 it will be restricted to 50%, in 2019/2020 to 25% and in 2020/2021 it will be 0%. If you are a landlord or thinking of becoming a landlord, we would recommend you to seek independent legal and tax advice. The blazing fire from the Grenfell Tower was a disaster that should not have happened! Unanswered questions, lack of management and no real communication with the residents all contributed towards the tragedy which could have been averted. Despite numerous warnings from residents to the council has not helped the situation with some reports of residents even receiving legal letters to drop the case! Questions have to be raised on those responsible for the fire. The design and maintenance of the building also played a major part in the spread of the fire. Works were carried out which were not compliant with fire regulations which aided the fire to spread rapidly throughout the building! Our thoughts and prayers are with the families of the victims of the Grenfell Tower Fire and the many others affected by the tragedy. Since 1st October 2006 every block of flats requires a fire safety risk assessment which is an obligation on the landlord. It has been found that Grenfell Tower didn’t have an update to date fire risk assessment, with no checks on some of the fire extinguisher for years! It may take some time for us to know exactly how the fire started and the events leading up to the tragedy but what we do know is there are some bad practices within the management by not taking the residents’ concerns seriously. The feedback from the residents who survived the flames that day all seem to agree in unison on the lack of efforts from the management to tackle their safety concerns. Protecting life should be paramount for the government, local authorities, landlords and managing agents. 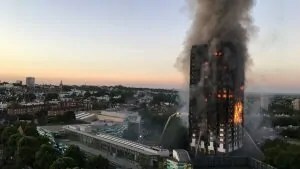 The disaster at Grenfell Tower in west London is the worst tower block fire the UK has ever witnessed. Investigators are pressing questions over the construction, refurbishment and management of the block, as well as over whether existing building regulations are adequate. 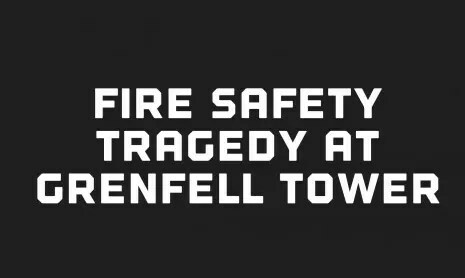 Tragedy – Grenfell tower. The blazing fire was a disaster that should not have happened! Residents in the block have said the fire started on the fourth floor of the 24-storey building and suggested it may have started due to an electrical fault in the fridge. After some investigation experts advised that the buildings external cladding which was installed as part of a £10m refurbishment which was completed last year, helped the rapid spread of the fire on the outside of the building. Happy with the Management of your block? There is no price on safety and at Advance Block Management we are well versed with Health and Safety and Fire Regulations to ensure your block is safe. We work closely with local fire risk assessors to ensure your block is safe and compliant. Reports and risk assessment are arranged and acted upon. In the reports we are told of the items which needs urgent attention accordingly and aim to address this as soon as possible while keeping the residents updated. We work with residents rather than against so therefore having an agent in place that listens to your needs and requirements is very important. Has your block got an up to date fire risk assessment? Are your agents keeping on top of the maintenance and are they aware of the regulations to ensure the block is compliant? Does your agent work with you? Do they listen to the residents? Don’t wait until it’s too late! At Advance we have number of fire risk assessors who we work with and arrange this across our blocks. Happy New Year! 2018 has arrived and we hope everyone had a lovely Christmas! Business is as usual in the office. We would like to thank all our clients, residents, suppliers, contractors and everyone else for working with us during 2017. It has been a busy, productive year and we loved every moment of it. We are aiming to continue to deliver the exceptional management services to our clients and are constantly looking at things to improve the business and the services that we deliver. We look forward working with you all during 2018 and beyond. During the holidays we received number of calls during out of hours to deal with emergency repairs. We welcome the calls as it is an opportunity for us to resolve this as soon as possible. The repairs were mainly to do with leaks which were responded to as an average within the hour. We are still available 24 hours a day to respond to emergency repairs. Author Advance Block ManagementPosted on January 7, 2018 June 1, 2018 Categories Latest NewsLeave a comment on Happy New Year! Welcome to 2018! 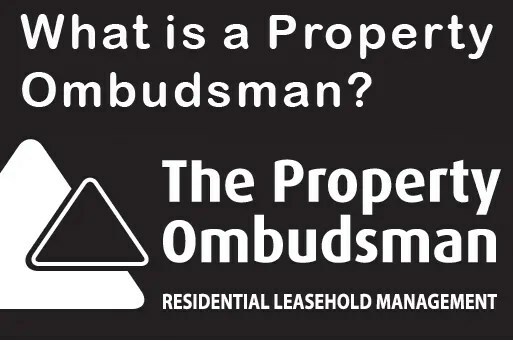 The Property Ombudsman is one of the three government approved redress schemes which aims to protect the public and offers a free, independent and impartial dispute resolution service for consumer complaints against UK property agents. This also means that they don’t take sides. Advance Block Management is a member of The Property Ombudsman (TPOS) and has a membership with the Residential Leasehold Management. From the first of October 2014, it became a legal requirement for all managing agents and property managers to belong to a government approved redress scheme. Before this date it was entirely a voluntary decision for the agency to join such a scheme. If your management company hasn’t joined one of the redress schemes mentioned above, they could potentially be fined by their local authority of up to £5,000. Which redress scheme are you with? Advance Block Management is a member of The Property Ombudsman (TPOS) and has a membership with the Residential Leasehold Management. This offers to resolve disputes made by leaseholders of blocks of flats. As part of the membership, members also need to abide by the General Membership Obligations. The Property Ombudsman (TPO) was formed in 2009 and was first formerly known as the Ombudsman for Estate Agents. The change of name meant that they were able to cover more areas such as Sales, Lettings, Leasehold Management etc. TPO has a complaint procedure and the membership applies to managing agents who have to abide by the code of practice issued by the organisation. Advance Block Management welcomes the government decision making it an obligation on all property management companies to subscribe to a redress scheme. This enables greater protection for consumers and leaseholders. While it would have been perfect for no complaints to exist in the first place, having such an obligation in place on agents would give leaseholders the reassurance of being treated fairly. Leaseholders/consumers are given the option that if they are not being treated fairly to take their complaint elsewhere and it being overseen independently. Advance Block Management offers a friendly and professional service to all of our residents, leaseholders and clients. If in the unlikely event you are not happy with our service please contact us at the first instance so we may look into your enquiry and offer our assistance to you. Court of Appeal decision on Right to Manage. Triplerose Ltd v 90 Broomfield Road RTM Co Ltd. The case of Triplerose LTD v 90 Broomfield Road RTM Co Ltd is known as the case which refers to the Right to Manage of residential developments. The Right to manage gives the right to leaseholders under the Commonhold and Leasehold Reform Act 2002 to transfer the management responsibilities to a company which has been set up by them. For more information you can click here. The above mentioned case dealt with the query whether leaseholders via the RTM company could acquire the management of more than one building in an estate as defined in Section 72 of the Act. The landlords didn’t agree with this and argued that they shouldn’t be able to obtain the right to manage of more than one building at a time. 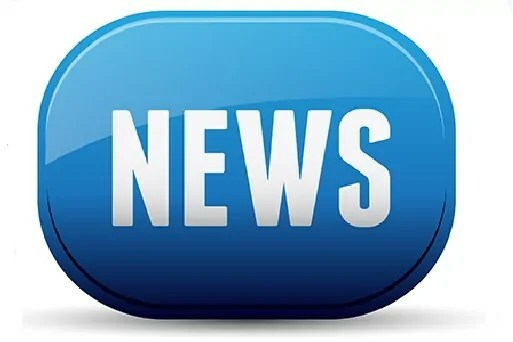 In Triplerose Ltd v 90 Broomfield Road RTM Co Ltd, and Freehold Managers (Nominees) Ltd V Garner Court RTM Company Limited, the LVT sided in both of these cases with the Landlord, that the RTM could not acquire more than one building at a time. The third case which was Proxima GR Properties LTD V Holybrook RTM Co Ltd the matter was transferred to the Upper Tribunal for them to consider. The Upper Tribunal sided with the RTM stating that the Right to Manage was specifically set up to enable leaseholders to manage their own building via a company set up by them. The 2002 act didn’t set a limit as to how many blocks they could acquire at a time and therefore didn’t see any reason why they should amend this. However the conjoined cases than went to the Court of Appeal , who than turned this decision around by describing section 72 of the 2002 act as ‘singular building’ that can be acquired rather than multiple buildings. The decision was made due to the many problems that could arise with the term if RTM were to acquire multiple blocks at the same time, as issues could also arise to which part of the country this could include. It would be absurd to therefore include multiple developments around different parts of the country in one application. It is therefore decided by the Court of Appeal that a Right to Manage Company can only acquire one building under the right to manage at a time. Please contact Advance Block Management if you have any further questions. Service Charge Review! 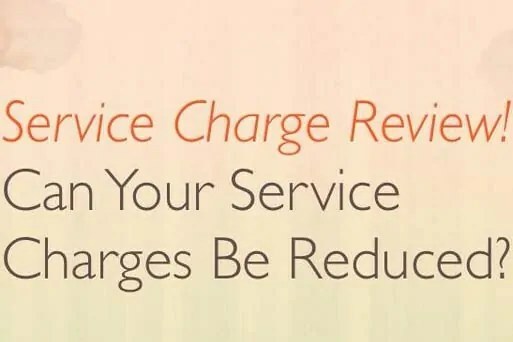 Can your service charges be reduced? All we ask in order to give an accurate quote is for the accounts and service charge budget you would have received from your current agents. If you haven’t got one, request for one. By sending the accounts and budgets we will try to give a like for like quote on the services which you are receiving while aiming to reduce the costs. We will also be able to arrange a free meeting to discuss this further. We are also able to provide the service charge review to Residential Management Companies, Freeholders, Developers and Private Landlords throughout the United Kingdom. At Advance Block Management we can provide you with better management on your block with reduced service charges. Contact us today to find out more. Author Advance Block ManagementPosted on March 17, 2015 May 31, 2018 Categories Latest NewsLeave a comment on Service Charge Review! Can your service charges be reduced? It is important to check with your agents that manages your block as to what their services entails and what they charge for their basic management fee. It is this fee that is implemented in the service charge budget which you as the leaseholder will have to contribute to pay. Author Advance Block ManagementPosted on February 12, 2015 May 31, 2018 Categories Latest NewsLeave a comment on What is Block Management? The Competition and Markets Authority (CMA) has published its market study findings and recommendations for improvements into the residential property management sector in England and Wales on the 2nd of December 2014. In short they have advised that the market works well for the majority of Leaseholders but that some may experience significant problems. In light of this the CMA has published a report with recommendations into this sector. The consultation and study into the market has found that many Leaseholders were unhappy with how difficult they have found in appointing new property managers. This is important especially if their current agents weren’t performing to satisfactory standards or/and overcharging residents for their services. They have also found that Leaseholders were frustrated with the high charges for services arranged on the property, unnecessary works being carried out, poor communication with their agents and lack of transparency between property managers and Leaseholders etc. The CMA has made recommendations in the field however have not recommended that property managers should be formally regulated by the government. At Advance we welcome the government’s input into the residential management sector and agree with the recommendations made into this field. At Advance we have already been implementing the recommendations before they were suggested and have been going the extra mile to ensure our residents are receiving a great service and understand completely what they are receiving from us. Since the commencement of Phillips and Goddard v Francis which is considered to be a controversial case, we have been eagerly following its course. The case concerns Leaseholders who were in dispute with their Landlord over what constitutes as qualifiying major works in a service charge. Major works on an estate or block of flats are currently governed by the Landlord and Tenant Act 1985 (section 20) which states that if a Landlord (or management company working on behalf of the Landlord or Residential Management Company) wishes to carry out qualifying works it should follow the major works consultation if it costs any Leaseholder in the building more than £250. Any works costing any leaseholder in the flat more than £250 the management company or Landlord must follow the strict procedure and consultation process. The Court has overruled the previous ruling in 2012 which stated that if costs exceeded £250 per Leaseholder towards qualifiying works in the whole financial year, than the consulation process must follow. After a lengtly battle, the Court of Appeal has decided that the previous widely accepted practice was in order and didn’t need a change. There is a set procedure and consulation process that needs to be followed if any works is undertaken on the property which will cost any leaseholder more than £250 in the service charge year. At Advance Block Management we keep our residents informed of works that is undertaken on site even if its not subject to section 20 Major Works.